Whether natural or manmade, surface water in the form of lakes, ponds, and streams has long been associated with golf courses. Natural lakes and ponds are usually associated with existing water sources, such as wetland areas. Irrigation impoundments (lakes, ponds, and constructed wetlands) can be incorporated into the design of a course and used to both manage stormwater and function as a source for irrigation. When golf courses are designed and built, their drainage capability concept is guided by an average rainfall event of a given frequency. 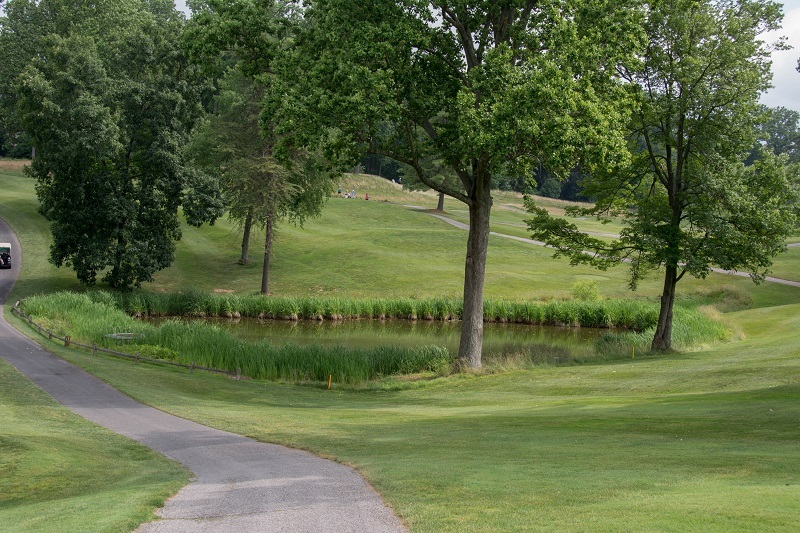 For example, a golf course drainage system is typically designed to detain a two- or five-year rain event, reasonably draining the precipitation in a matter of hours, as excess water not absorbed by the soil flows through the drainage system, is temporarily held, and finally leaves the property. In some instances, golf courses are mandated to handle a 20-, 50-, or 100-year rain event, which means the golf course must detain more water for perhaps a longer period of time. This ability to detain large amounts of water requires accurate engineering and extensive construction to prevent physical or financial damage to the facility. Many BMPs are intended to prolong the detention process as long as practical, retain as much of the stormwater in surface or underground storage as reasonable, and to improve the quality of water leaving the property when possible. Most aquatic areas require their own management plan and regular attention. Important components of aquatic maintenance include managing aquatic habitats, such as the aquatic algae and plant growth and dissolved oxygen; reducing or preventing nutrient and sediment enrichment especially through the use of vegetated buffers; and ensuring adequate dissolved oxygen levels to sustain aquatic life. Many BMPs to manage stormwater prolong the water detention process as long as practical, as in this detention pond at Baltimore Country Club. Photo credit: Mark Jones.